An outsider rises up the crime ranks by becoming an apprentice to the existing biggies, rises to new heights overshadowing his own mentors, but ultimately peaks, and then follows your great Greek tragedy. There have been quiet a few of these in the past, & for me Sathya was one such movie that stands out (probably because it breaks the template a little and tells the story of the 'master' rising to his peak with the help of his apprentice) In the recent times, Vasan Bala experimented with this format when he wrote Bombay Velvet, and the movie was slightly underwhelming, primarily because it had one too many distractions that it couldn't narrate a coherent story At the end of the day. Raees is the latest entrant. A story, coincidentally set in the same age that these type of movies started coming around. Inspired by the life of “Abdul Latif”, Raees is a crime thriller directed by Rahul Dholakia. What works for Raees is the fact that it's constantly engaging. Well shot Action sequences ensure the much needed adrenaline rush for the movie. The good part is that the action sequences aren't sprayed around, Dholakia uses them at the right time for a good impact. Seldom did I feel that a sequence wasn't needed at the point in the movie. There's something to be said about Rahul Dholakia's prowess in establishing the period setting . The subtle references to the period that movie is present in, the small but visible changes that make Shah Rukh Khan look young in the start of the movie, and considerably older by the end of it; all speak of an attention to detail that shows the care with which this movie was made. You can track the timeline of the story by the small details like the visual style of Raees' spectacles, they are accurate in identifying the different styles each decade had; right back to the 70s when a much younger Raees' gets a much more utilitarian looking spectacle. But sunglasses aren't the only thing indicating the period of the setting here, it's even in the dialogue, paraphernalia, and the cultural references too. If you were to divide a movie's story in three parts, Idea, setting and Screenplay, Dholakia absolutely nails the setting part. As for the screenplay, Raees sets up a great first half with engaging sequences leading upto an interesting story helped by some great acting. It sets the stage for its self to rise above its template storyline and really make for a meaningful watch in the final act. But then Raees fails. It gets too preachy when handling the riots' sub-plot, the screenplay is distracted by way too many things leading up to the climax, a political alliance, a romantic sub-plot, riots, did we really need them in this movie? Perhaps not. Even the quick-wittedness of Raees' character feels repitative and less appealing after awhile. It's these problems that entangle Raees, which ends up just being a +1 to the long list of Bollywood crime thrillers, ultimately offering very little that's new to the table. For a movie that could have gone down as a classic crime thriller, its a bit underwhelming that Raees ends up being just an entertaining action movie. Having said that, I thoroughly enjoyed watching Raees. Something that I can't say for a lot of great movies I saw last year. There's this trend building up with Hindi movies that unless a movie doesn't offer this life changing, completely un-heard of idea or a social message relevant to the media rants around it, it's worthless. I'd like to differ from this view. I think an ideal movie is one that keeps you entertained for its entire duration and offer a well written story that interests the viewer. Great ideas are a sign of a great story, not necessarily the only sign you should be looking for in a movie. 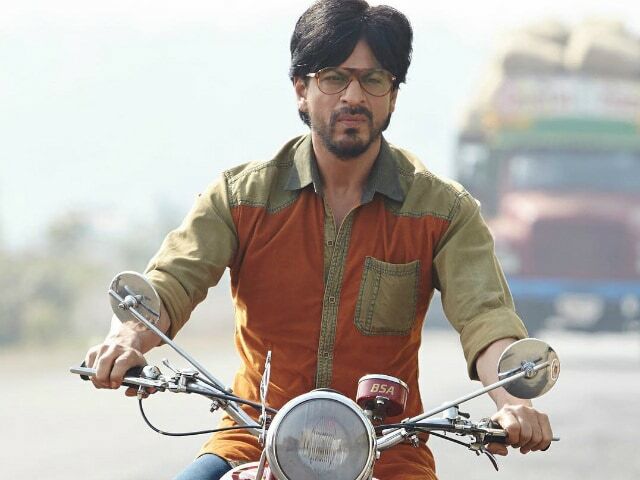 So, is Raees is the ideal movie? Far from it. But is it a good, entertaining watch? Yes.